The legal industry is radically different than it was just a decade ago. This presents both challenges and opportunities for young law firm associates. No longer can young lawyers sit back and wait for opportunities to fall into their laps. But never before have more tools and options been available that allow entrepreneurial-minded layers to stand out and rise to the top of the profession. 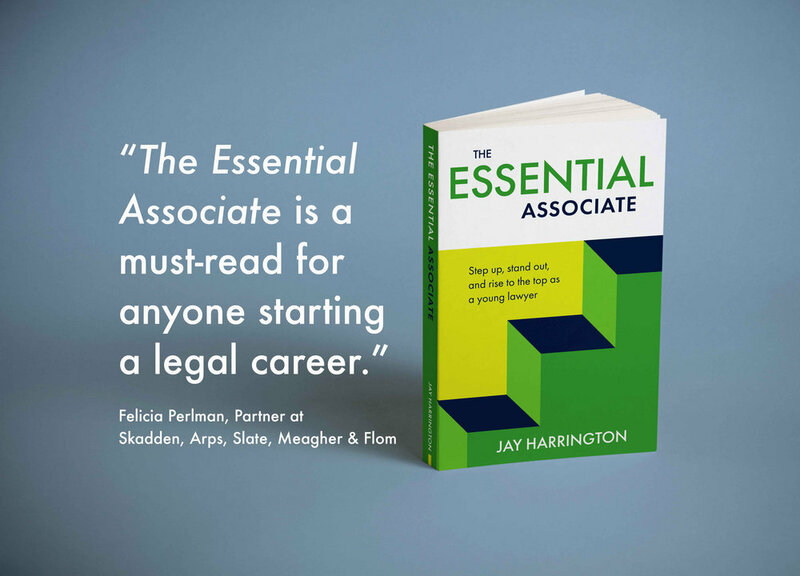 Jay Harrington’s new book, The Essential Associate, is an Amazon best seller that helps young lawyers not just survive but thrive in today’s competitive law firm environment. It is a step-by-step guide for mastering both the practice and business of law, and includes the insights of dozens of successful lawyer, general counsel at Fortune 500 companies, and leading consultants to the legal industry. The “90-Day Personal Brand Building Road Map” builds on the lessons taught in The Essential Associate, and will help you to put its prescriptions into practice. It includes twelve weeks worth of activities and action steps that will help you craft your personal brand and project your expertise to the marketplace. Want to build a strong network and reputation that lays the foundation for future business development? This Road Map will help you to gain momentum and move forward on the actions necessary to build a book of business. Almost every lawyer wants command higher rates, attract more clients and increase his or her profile in the marketplace. However, many are stuck pursuing ineffective strategies. Others don’t even know where to start. In his new book, lawyer-turned-legal marketer Jay Harrington lays out a path for lawyers to build profitable practices. This book teaches lawyers how to harness creativity to develop profitable niche practices, build personal brands, improve the brand experience of clients, and become prolific, effective content marketers. Download our Free guide, "How to Make an Impact on LinkedIn: A Step-by-Step Guide for Lawyers," to learn the essential steps on how to build a network, brand, and book of business using the LinkedIn platform. Download our Free guide, "The 5 Essential Elements of a Law Firm Website Homepage," to learn the secrets to building a high performing website that attracts your ideal audience, turns traffic into leads, and leads into new business. Congrats! You’re one step closer to having a high performing website. You can download your free guide at the link below. We’d love to hear what you think about it, and we are here to answer any marketing or website-related questions you may have. Please contact Jay Harrington at Jay@hcommunications.biz or 313-432-0287. Interested in learning more about what it takes to build a powerful personal brand? Download Jay Harrington’s FREE “Personal Branding for Lawyers: Self-Assessment Workbook” to gain a deeper understanding of how to assess your unique strengths and weaknesses as a lawyer. Thank you! We hope you enjoy, and are inspired by, what you read. Learning is the first step. Taking action on what you learn is the next. If you are looking to grow your law firm, or individual law practice, please get in touch with us. We're here to help you get results! Much like the first year of law school, the first year in a law firm can have a huge impact on a lawyer's career trajectory. A lawyer who starts slow will face an uphill climb. But one who starts fast will have a distinct advantage when it comes to career advancement. As the old saying goes, you only have one chance to make a first impression. 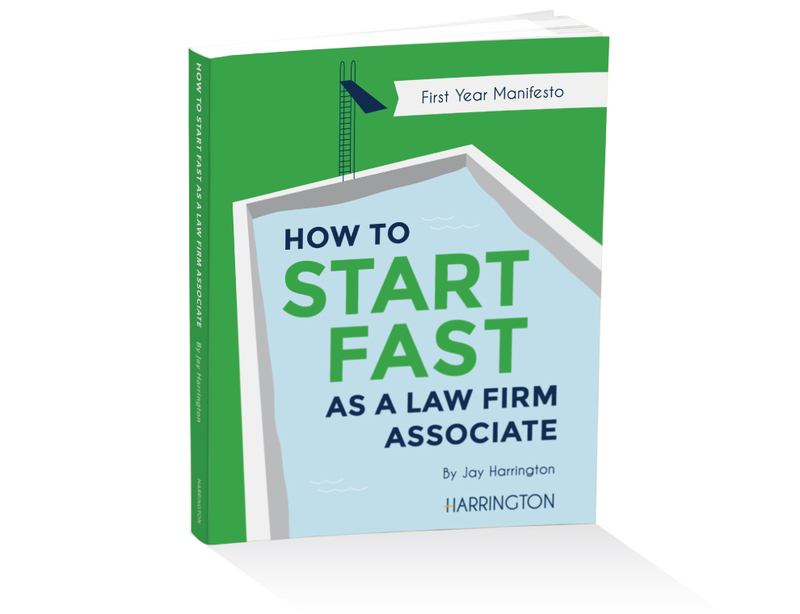 In this free eBook, Jay Harrington discusses several key tactics, strategies and philosophies that will help young lawyers get off to a fast start. The ideas shared in this eBook preview a longer, more in-depth discussion of the issues facing first and second year lawyers in a full-length book Jay is working on that will be launched in late March of 2018. Jay's new book will feature lessons learned from his own experience as an associate at large law firms, but more importantly the insights from numerous successful and experienced lawyers at prominent law firms throughout the country.